Former President Olusegun Obasanjo has asked Senate President Abubakar Bukola Saraki and House of Representatives Speaker Yakubu Dogara to open the financial records of the National Assembly since 1999 for external bodies. Besides, Obasanjo said that the National Assembly should also have the courage to publish its recurrent budgets for the years 2000, 2005, 2010 and 2015 for transparency and accountability. The former President’s views are contained in a January 13th, 2016 letter. The letter, first published by PremiumTimes, was received in the office of the Senate President on January 18th. 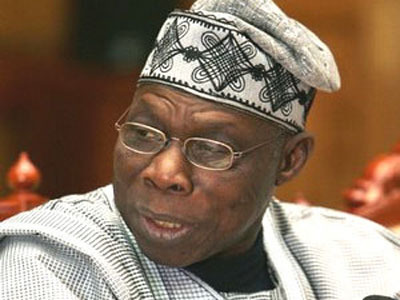 Obasanjo, Nigeria’s president between 1999 and 2007, accused members of the National Assembly of lawlessness and abuse of the constitution by overturning the recommendation of the Revenue Mobilisation, Allocation and Fiscal Commission on their entitlements and emoluments. The former President said that there was no valid argument for the action of the members of the National Assembly in hiking their emoluments, except to see it for what it is – law-breaking and impunity by lawmakers. Obasanjo said that cars for legislators would fall into the same category of reckless expenditure. They are unnecessary and insensitive. A pool of a few cars for each Chamber, he said, will suffice for any Committee Chairman or members for any specific duty. The former President insisted that the waste that had gone into cars, furniture, housing renovation in the past, was mind-boggling and these are veritable sources of waste and corruption. “That was why they were abolished. Bringing them back is inimical to the interest of Nigeria and Nigerians,” he said. The National Assembly, he said, should take a step back and do what is right not only in making its own budget transparent but in all matters of financial administration and management including audit of its accounts by external outside auditor from 1999 to date. According to him, if it is done, the measure will bring a new dawn to democracy in Nigeria and a new and better image for the National Assembly and it will surely avoid the Presidency and the National Assembly going into face-off all the time on budgets and financial matters. The Senate President who spoke through his Special Adviser Media and Public Affairs, Mr. Yusuph Olaniyonu, acknowledged receipt of the letter.